Welcome to the Byron Center Chamber! Relevance & Relationships, you'll find it here! Byron Center Chamber of Commerce is organized to promote business growth and development which enhances the community. Enjoy our quaint downtown, parks & bike paths, schools, as well as the new Tanger Outlets. We strive to connect business with community, it’s a partnership that works! 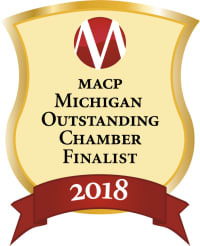 The Byron Center Chamber is proud to be a finalist for the 2018 MACP Outstanding Chamber of the Year Award. 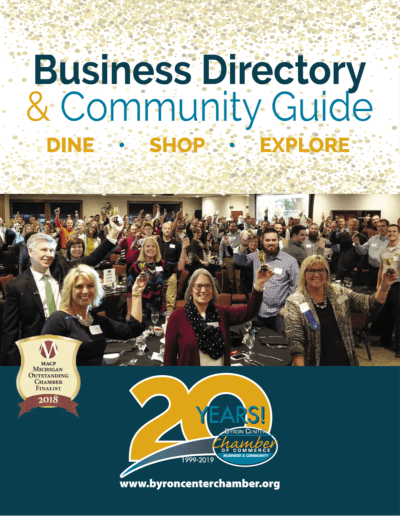 The Byron Center Chamber was announced a finalist at the Annual Awards Dinner on October 18 2018. Applying for this award shows our Chamber is dedicated in promoting strong business practices, recognizes leadership and contributions to our community, and establishes best practices within the industry. We are especially proud of our accomplishments within the areas of leadership and supporting free enterprise to grow a stronger community to live, work and play.